Please join us on March 10th for the next Brandon Edge monthly meeting. You do not need to be a member to attend and kids are always welcome. If you have ideas for a new event or how to make a current event even better, we can't wait to hear from you! Need sand for your sandbox? We got you covered! 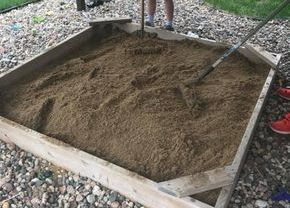 Sign-up for our annual sandbox fill. We deliver right to your house. Saturday, May 18th from approximately 8:30 AM - 1:00 PM. The first 4 wheelbarrows are $25.00. Each additional wheelbarrow is $5.00. 1st Annual Brandon Edge Fun Run! 0.1k Run! That's right - point one! A run that anybody (must be at least 21) can finish. The Brandon Edge along with Homestead Brewery is sponsoring a short run to go a long way towards supporting programs for children in our community. A huge THANK YOU to the Sioux Falls Area Community Foundation for providing the Brandon Edge with a $500 Grant to help fund the Babysitter Clinic and the Easter Egg Hunt! T﻿hank you to this year's sponsors of the Brandon Edge! You can help the continue to provide family activities throughout the year by joining us as an Edge Supporter. Our goal is to continue funding these free activities for families to enjoy. The Edge serves Sioux Valley Energy! Each year, Sioux Valley Energy hosts a customer appreciation dinner prior to their annual meeting. 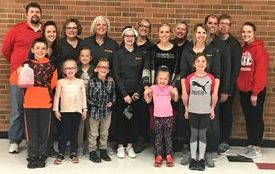 This year, the Brandon Edge members helped serve dinner to nearly 1,750 people! Thanks to Sioux Vally Energy for letting us volunteer, and thank you to Tony's Catering for the delicious meal! The Brandon Edge Community Service Group is a non-profit organization that enriches the lives of children in our community by providing year-round educational and recreational experiences.